Anita was absolutely wonderful with Pablo from the start. She really took the time to make sure he was relaxed and put his needs first. He didn’t like being on the grooming table so she worked where he was happiest – on the sofa. She was very flexible and comforting, and Pablo obviously felt in very safe hands because he didn’t appear distressed at all during the 2 hours he was being groomed. He even start playing with a toy mid-groom! 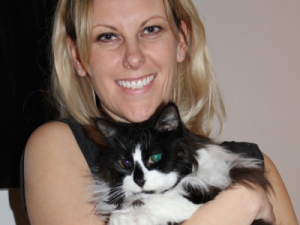 I would absolutely recommend Anita’s grooming services – she knows, understands and adores cats. Pablo was very chuffed with his new, tidier look! Pablo was happy with Catnips London cat grooming service and your cat will be too!